Training for that first tandem skydive focuses on the basic body position required for skydiving as well as the plane ride and aircraft exit. The Tandem Skydive Level 2 introduces you to the altimeter (which measures altitude) and the ripcord used to deploy the parachute. It also includes an introduction of canopy flight by your instructor – under canopy! 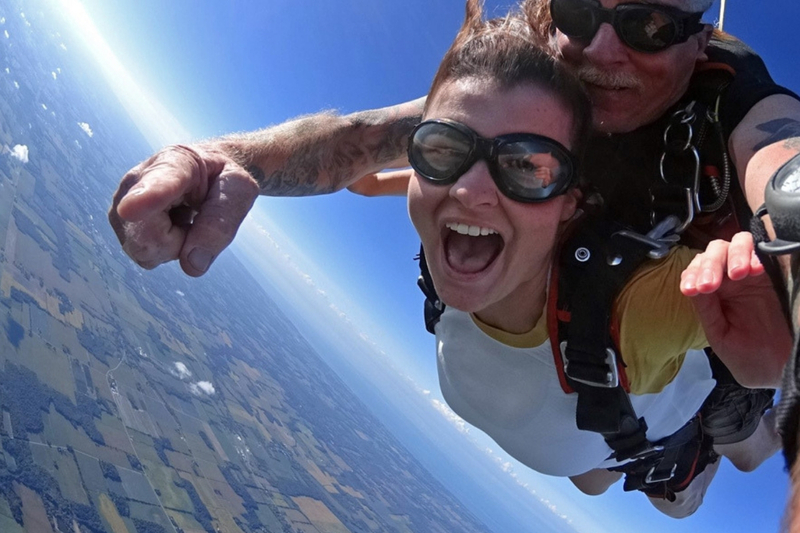 Your goal for Tandem Skydive Level 2 is to be able to shut out the insanity of jumping out of a perfectly good airplane and focus on that altimeter. At an assigned altitude, you are responsible for pulling the ripcord for you and your instructor, saving your own life! If you don’t pull at the appropriate altitude, your instructor will be right there to get it for you. In addition to using the altimeter in freefall, you will also be taught how to turn and go forward in freefall. 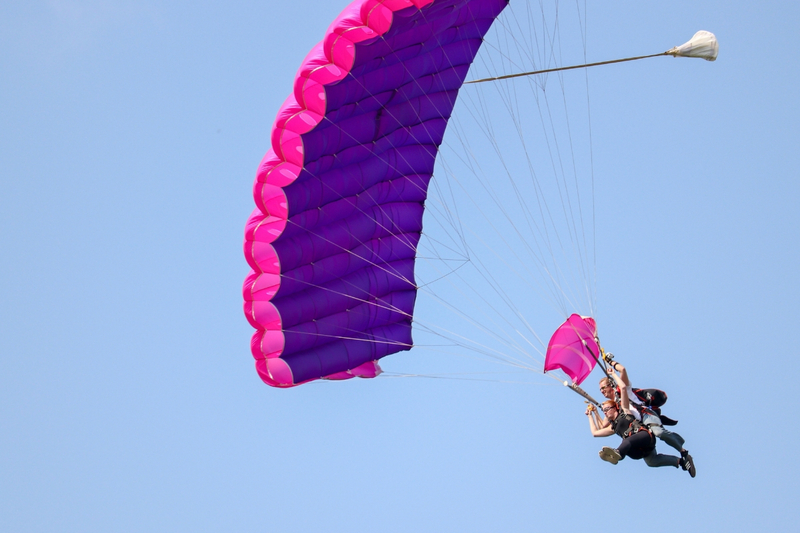 There are two reasons we teach these skills: for one, these are the exact skills you will be utilizing on your next jump (using your own parachute…), and second is so we give you too much to think about so you forget to pull the ripcord! While the second reason may sound cruel, we are trying to show you that time is a factor in skydiving. While we have lots of fun in the sky, at some point we have to pull a parachute out to save our own lives so we can jump again! Upon successfully passing your Tandem Skydive Level 2, you get the opportunity to join us in our student program. This is where the fun REALLY begins!! Your first step towards flying solo! Deploy your own parachute! Call today to book!